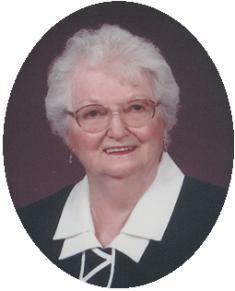 Anita M. Russell, 88, of the Maple Crest Apartments died on December 4, 2005 at Columbia St. Mary’s Hospice in Milwaukee. She was born on March 9, 1917 in Port Washington, Wisconsin to John N. and Margaret Thome Husting. She married Norman L. Russell of Endeavor, town of Moundville, Wisconsin on June 18, 1938 at St. Mary’s Church in Port Washington, Wisconsin. They lived at 429 N Webster Street for many years. He preceded her in death August 19, 1998. She was a homemaker and enjoyed cooking, baking and sewing. She liked reading, good music and spending time tending to her flowers in her yard. Anita delighted in her grandchildren and great grandchildren and watching them grow. She is survived by her children Jim (Julie) Russell of Port Washington, Wisconsin and Elizabeth (John) Bostwick of Burlington, grandchildren Chris Bostwick, Kelly (Brett) Plank, Dan (Heather) Russell and Jamie Russell, great grandchildren Jordan, Logan and Corey Plank. Further survived by sister-in-law Phyliss Husting of Dayton, Ohio, other relatives and friends. She is preceded in death by her sister Marie Ceretto and brothers Norbert, Gerhard, William, Arthur, Aloys and James Husting. Fr. Allan Sommer will celebrate a Mass of Christian Burial Saturday, December 10, 2005 at 11 AM at St. Mary’s Catholic Church, 430 Johnson Street. Entombment will be in St. Mary�s Cemetery, Port Washington. Family will receive friends from 9:30 – 11 AM Saturday at Church. Memorials to Columbia St. Mary’s Hospice, 2025 E Newport Avenue, Milwaukee, WI 53211 appreciated.